Content with latest 1st Feb 2019 updates. GST is historical indirect tax reform in India. There has been a paradigm shift in the Indirect Tax structure with the GST rollout on 01st July 2017. It is really important to understand and assimilate the new GST in India, new compliances and the changes in processes in operating business. To help professionals and aspirants with the ongoing changes and to make them GST experts CAclubindia has introduced the Certification Course on GST in Delhi. The objective of this Course is to provide knowledge of practical aspects of GST to all. What will you learn in this GST Certification course? At the end of the GST Certification course by CAclubindia, you will have a thorough understanding of the GST regime and will be "GST Ready" for the coming future. 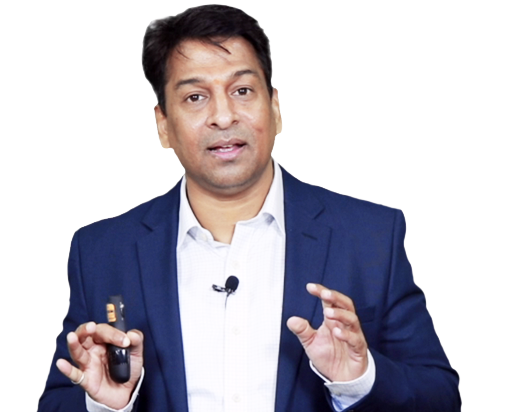 You will learn GST with Bimal Jain who is one of the most sought-after GST knowledge & thought leader in the country with more than 19 years of experience in Indirect Taxation. Through these GST Online Classes, you will be able to learn all the basic to advance concepts and prepare yourself for the latest GST updates with this GST Online Course. Who should enroll in this Online GST Course? This GST Certification course is for everyone who wishes to learn and study GST and become an expert in GST or wants to become a certified GST practitioner with this GST Certification Course in Delhi. CS Professionals and students, IAS aspirants, MBA Finance, ICWA Professionals, CFO's, LLB practitioners and students, Independent Tax practitioners and Consultants, Accountants and Graduates. Sales Tax Practitioner or Tax Return Preparer under the existing law for a period of not less than five years. What are the opportunities in GST field as a career after GST Certificate Online? The new GST taxation system will be opening up an Ocean of Opportunities for all Tax/ Account Professionals, Manager Accounts, CFOs, Revenue Officials, CA and other Finance Students. "Consultancy firm Ernst & Young India. In its Indirect Tax practice, the firm has seen over 60 percent increase in hiring. All the hiring were related to GST" - Sudhir Kapadia, National Tax Leader, EY India. What are the benefits of GST Training & Certification Course in India? What will be content of the GST Training Course in India? Goods and Services Tax (GST) is one of the historical amendment in the present system of indirect taxation in India subsuming most of the existing indirect taxes into a single unified system of taxation. The GST has subsumed 17 Central/ State tax levies including Excise, Service Tax, CVD, SAD, VAT, CST, Octroi, Purchase Tax, Entertainment Tax, Luxury Tax and various surcharges and cesses making the movement of goods cheaper and seamless across a market holding 1.3 billion consumers, about four times the U.S. population. Taxable person, Threshold limits for GST registration and payment, Mandatory registration, Distinct persons, Composition levy, RCM under GST, provisions of Registration, How to apply GST Certificate Online etc. This GST Certification Course in Delhi will focus on practical aspects of GST with the support of the theoretical knowledge of the law and will build all the basics and advanced concepts in the mind of the students. Bimal Jain is a Member of Institute of Chartered Accountants of India since May 1994 and Member of Institute of Company Secretaries of India since December 2006 along with a Bachelor's degree in Law. Also, he is a Qualified SAP - FI/CO Consultant and has more than 21 years of experience in Indirect Taxation and specializes in all aspects of Service Tax, Value Added Tax (VAT)/ Central Sales Tax (CST), Central Excise, Customs, Foreign Trade Policy (FTP), Special Economic Zone (SEZ), Export Oriented Unit (EOU), Export-Import Laws and well acquainted with the concept and impact of way forward Goods and Services tax (GST). CAclubindia has launched GST Certification Course in Delhi with Bimal Jain which is available online on the website. He has hands on experience in providing opinion & advisory services, carrying out diagnostic review of business operations, process review, structuring of business model, undertaking litigation services at all appropriate forum including CESTAT, representation before the TRU/ CBEC/ DGFT, etc. for various matters concerning to trade, industry and commerce. How much time will it take to complete this online course? This GST Online Course will take up to one and half months to get complete understanding of the topics. How does this GST Online Training will help in placements or promotions in career? GST has now become the need of the hour and companies are hiring Individuals with understanding of GST regime and compliances. Also, it will become easy for professionals to get promotions when they acquire in-demand skills of GST. Is there any requirement of prior knowledge / skills for this course? Students are encouraged to have a basic understanding of Indirect Tax system in India. Total Length of Videos: 28+ hrs. Videos can be viewed on website for 5hrs also(updates will be provided online).